Four photographs relating to the Osawatomie State Hospital in Osawatomie, Kansas. 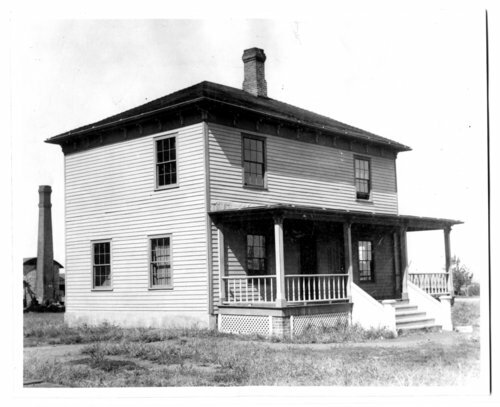 The first image shows the building listed as the first "Insane Asylum" in Kansas, known as "The Lodge," in Osawatomie in 1866. The photograph of the man with the phonograph is from 1886, and the last two photographs are from open house displays in May 1966. The man with the phonograph is Frank Smith, the first music therapist at Osawatomie State Hospital.